eptember 15th 2016, was a sad day for the graphic design community. The distinguished and prolific Milan designer Giancarlo Iliprandi died at the age of 91 leaving behind a legacy of prominent vision. “When I started studying to become a graphic designer, there were no schools in Italy, so I had to learn by myself, buying books, buying Graphis and other magazines” he once said. “What I saw was that the most important thing was to study typography, because typography is the ground on which everything sits. Typography is the landscape” he added. 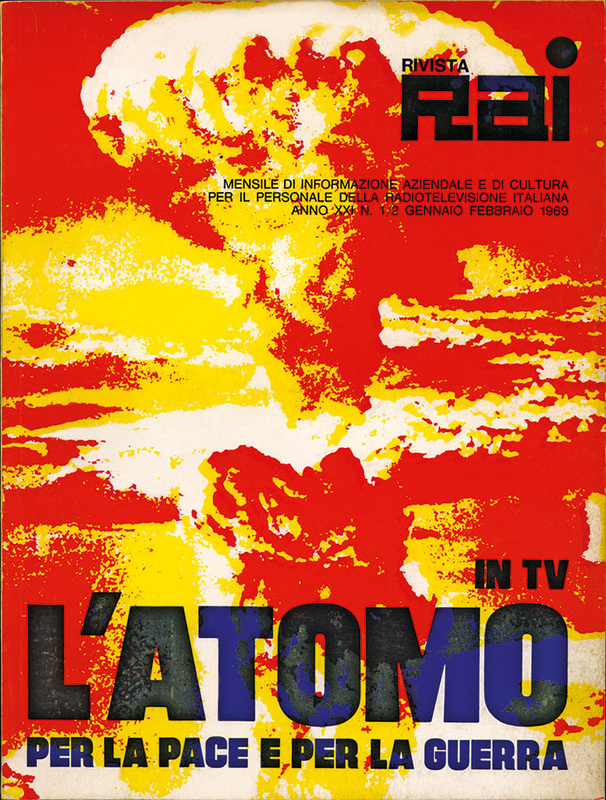 Lucky enough to work with an extensive array of clients, such as the aforementioned La Rinascente, the Italian broadcaster RAI, Olivetti, Pirelli, Treccani, Fiat, RB Rossana and Arflex, he was a leader in the Italian graphic design scene even though he experienced personal troubles during the 1970s — in conversation with Alberto Saibene in *Note, Iliprandi confesses that he drank too much for three years, consuming almost a bottle of whisky a day. “When you have a problem, and you write a precise report about it, it’s important, it’s part of the work, to make things clear” he said. 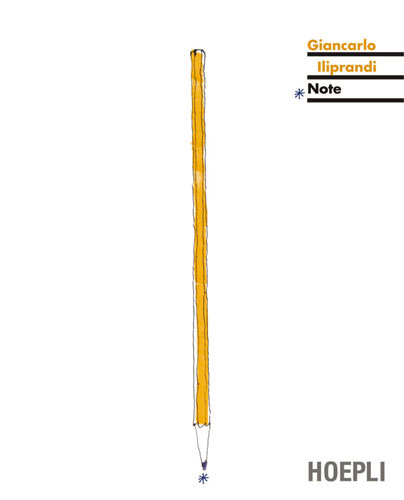 Iliprandi also quotes in the book Munari’s assertion that “what is left of you is what you do for others”. “Some people in Italy say that you don’t eat with culture, but this isn’t true” he said. “People are not living for bread alone, they need bread and ideas”. 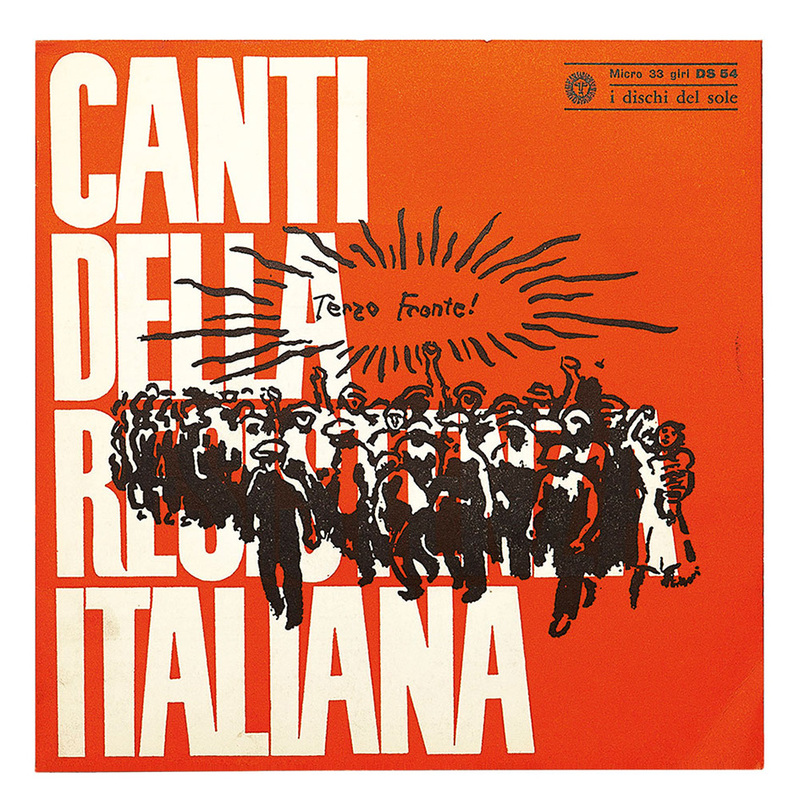 Considered a master of Italian graphics Iliprandi has been called a ‘multi-instrumentalist’ for his creative range. 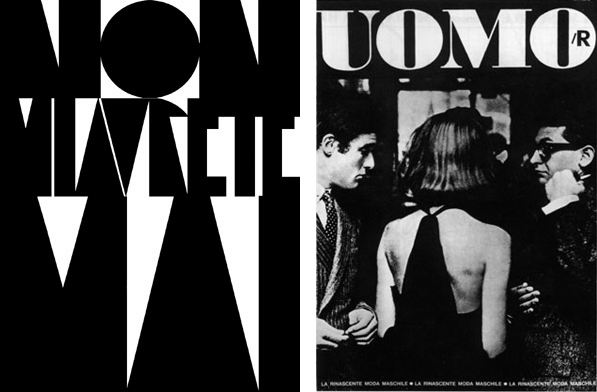 A teacher, painter, photographer, art director and graphic designer as well as an activist for design, Giancarlo Iliprandi won four Compasso d’Oro awards, for typography design — the Modulo font — as well as for his work with notable brands like Fiat and the magazine l’Arca over the course of his life. The fourth was awarded to him in 2011, for his impeccable design career, to acknowledge both the breath of his work and the archival value of his legacy. 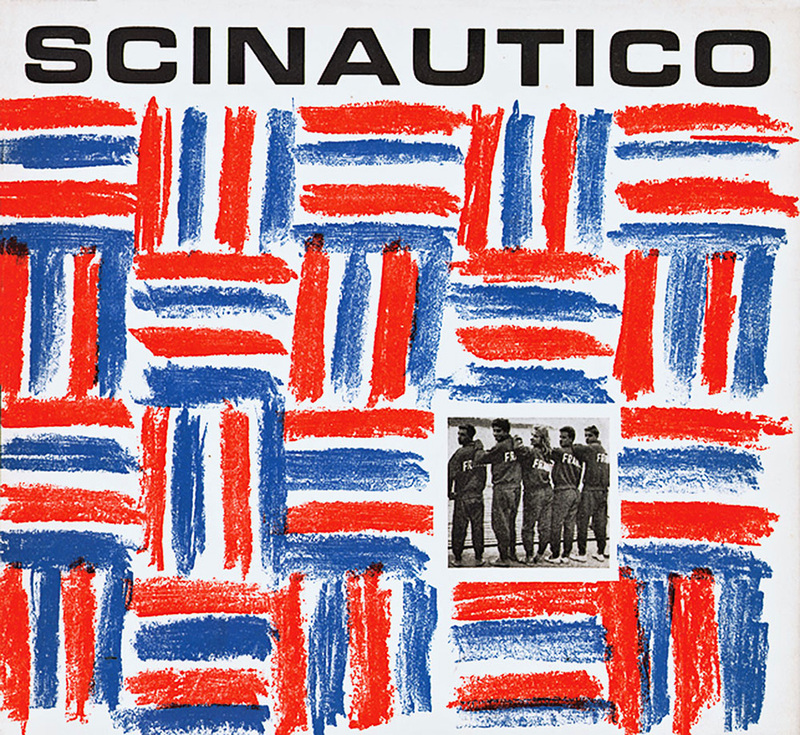 Part of an exciting movement in art and design, based in Milan during the 60s and 70s, which included Bob Noorda and Bruno Munari, Max Huber and Albe Steiner, Ugo Mulas and Valentino Bompiani, Iliprandi was one of those distinctive intellectuals who lived with a vision of a better future through design. 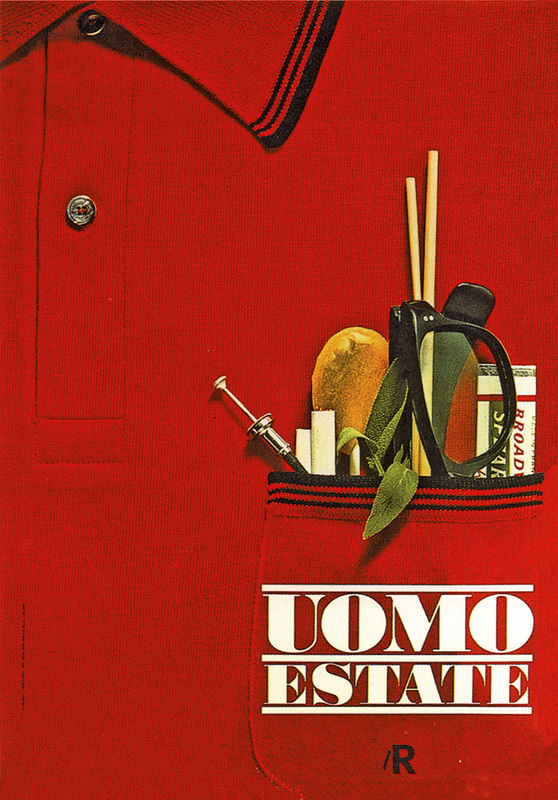 Having worked with many renowned brands and creative individuals — like the Castiglioni brothers on exhibitions for the historical RAI, he developed ad campaigns, window displays and magazines for the legendary Rinascente department store with Max Huber and Bruno Munari and he collaborated with Giorgio Armani among others — Giancarlo Iliprandi designed for art and sports magazines until 2000, simultaneously designing fonts and typefaces, logos for museums and fashion brands, reports Designculture. 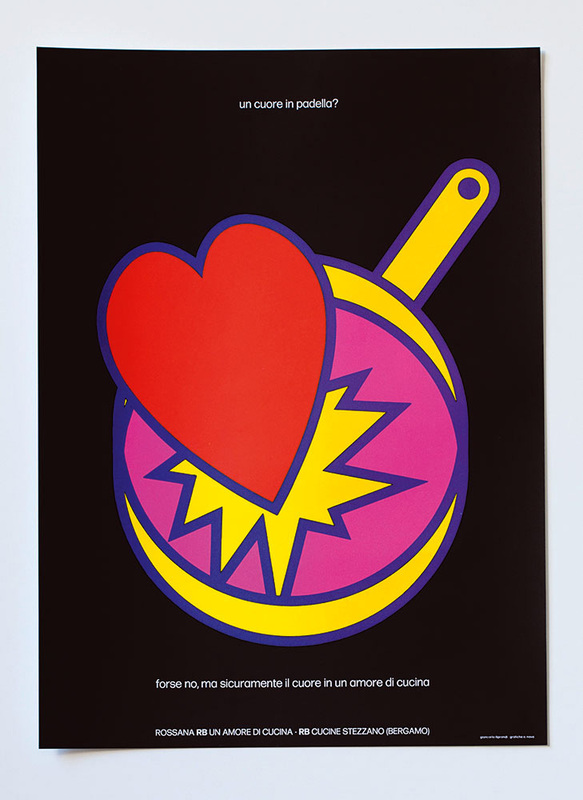 In 2005 Iliprandi was featured in a Retrospective at the Scuola Politecnica di Design in Milan, showcasing the most representative designs that were carried out during his long career, including a series of experimental silkscreen prints made for Grafiche Nava. “In these works, Mr. Iliprandi analyzed the structure, decomposition and legibility of the alphabet as well as provided reflections on typographical composition and lettering as an opportunity for dialogue between text and graphics”. 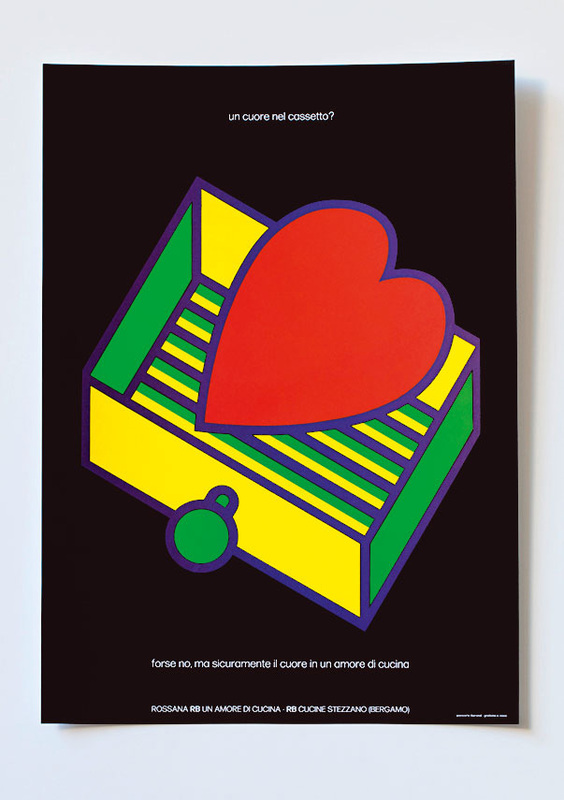 Iliprandi is one of the many designers who was included in the important publication ‘Made in Italy Graphic Design, Communication and design companies 1950-1980’ by Mario Piazza for Aiap Editions. Hoepli editions republished the autobiography Sketch, Think, Draw just a few years ago including the archive of his vast travel drawings which is a testament to his belief that “the sketch is a raw first birth of the idea, and as a fundamental way of looking at reality before attempting to communicate it to the world is quite breathtaking”. 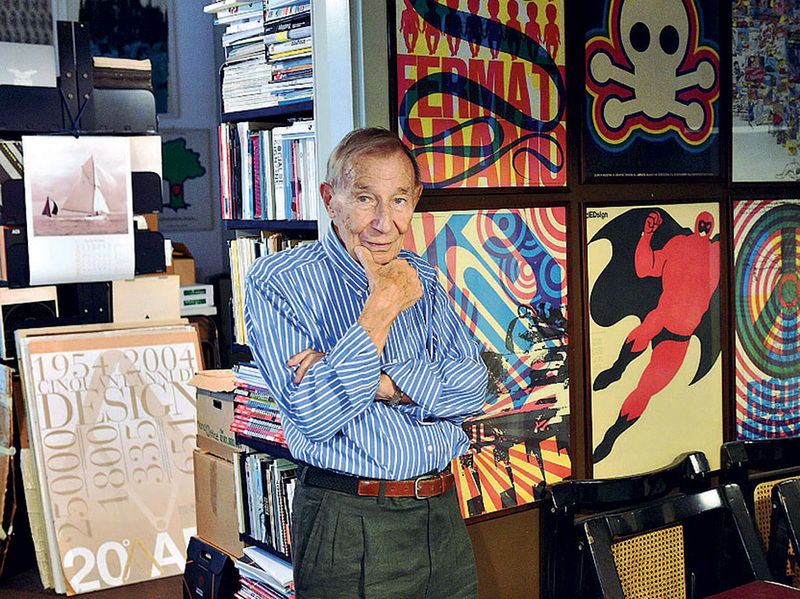 Milanese designer Giancarlo Iliprandi, a chameleon among Italian practitioners of his generation, was born in 1925 and he began his graphic design activity, as a self-taught professional, quite late in his life. After earning a scientific high school diploma and frequenting the Faculty of Medicine, he obtained a diploma in painting and set design from the Brera Academy. In 1955 he began collaborating with RAI and Montecatini, alongside the Castiglioni brothers, as well as acting as a consultant for the Advertising Office of La Rinascente. 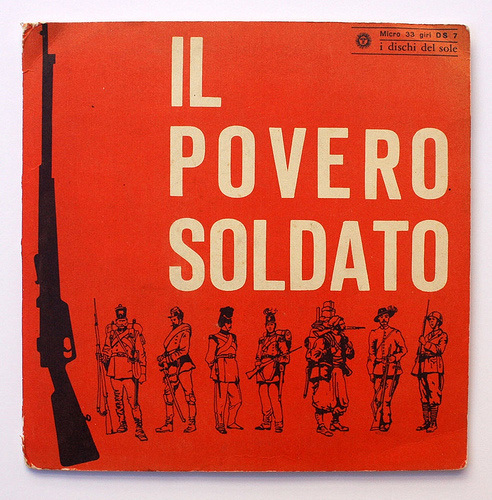 His major works date back to the Sixties and vary from product design to art direction for magazines, such as Scinautico and Popular Photography Italiana, from the coordinated design of companies like RB Cucine, Ankerfarm, Artex, to consultancies for the Propaganda Office of Standa; from graphic design for publishing houses such as Diaframma, Avanti, Treccani, to the record series Dischi del Sole. He won the International Grand Prize at the XII Triennial of Milan (1964). 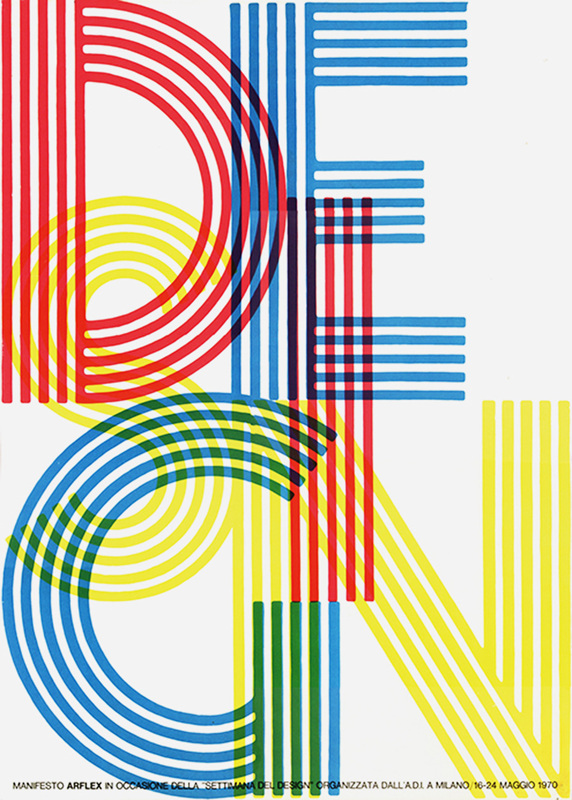 As a member of the research group Società Nebiolo he elaborated, with other designers, the Forma and Modulo fonts; the Modulo font earned him a prize in the 1979 edition of the Compasso d’Oro. In 1979 he also won the Compasso d’Oro for the redesign of instrumental graphics of the Fiat 131 Supermira ori. Iliprandi was a founding member and two times president of the Milan Art Director’s Club; he was also president of ADI (1998-2001), BEDA (1988) and Icograda (1991-1993). He taught within the Società Umanitaria, ISIA in Urbino, the European Institute of Design and in the Politecnico di Milano, which awarded him with an Honorary Degree in 2002. He received several recognitions including the 12th Triennale Grand Prix in 1964, four Compasso d’Oro awards (two in 1979, one in 2004, and the Compasso d’Oro Lifetime Achievement Award in 2011). He also received six Compasso d’Oro honorary mentions, and a honorary degree in industrial design from the Politecnico University in 2002. “Design is a planning system aimed to improve the quality of life”. “From a methodological point of view, there is no difference between visual communication and product design”. 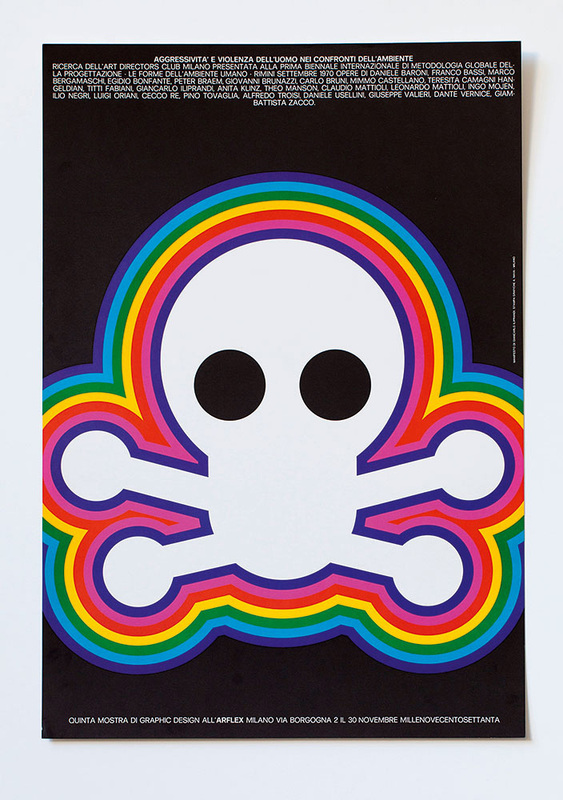 “Style, mannerism, method’s inconsistency, originality for its own sake: these are the major risks in graphic design”. “The consistency of graphic design is not in the sign, but in the architectural composition of the sign”. 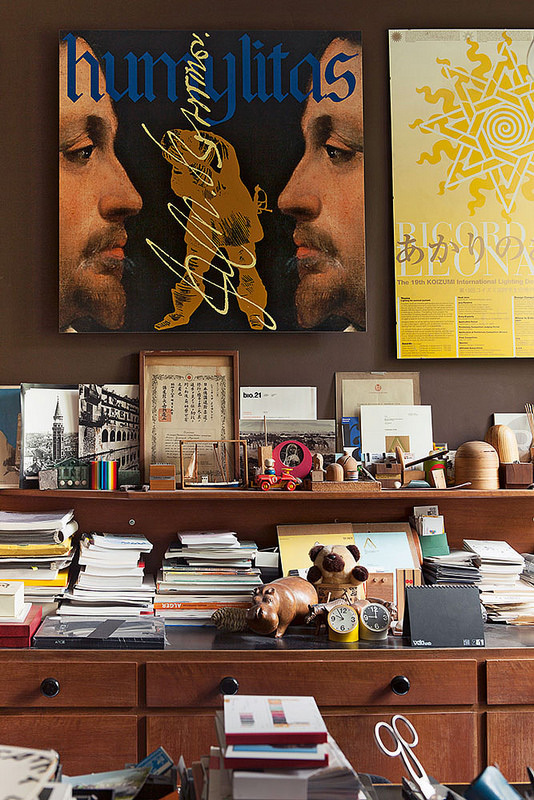 “The graphic designer has to be consistent with its own cultural and technical commitment”. “Devote yourself to research and experimentation”.